EVERY country has the responsibility to develop its society in a way that will benefit all its citizens. How well any nation is able to meet or discharge this responsibility or obligation is determined by a number of factors of which corruption stands out more prominently. The World Bank defines corruption as the abuse of public office for private gain. Corruption is a worldwide phenomenon, which has been with all kinds of society throughout history as a global crime. It is considered as an aspect of indiscipline and the greatest obstacle to development anywhere it rears its ugly head. In Nigeria, the phenomenon of corruption is not only obvious, it is also well too known to a point where every citizen believes that every Nigerian is corrupt. The former Chief of General Staff, Gen Oladipo Diya, was once quoted as saying that all Nigerians were corrupt. It is also a generally held belief or notion that corruption in Nigeria has become the normal way of life and can never be eradicated. Nigeria continues to be a poor country despite its enormous natural resources, untapped agricultural potential, and abundant intellectual know-how because there is a strong linkage between poverty and corruption. Poverty helps entrench corruption while corruption exacerbates poverty. With the high amount of human and material resources abound in the country, it is believed that Nigeria ought to be counted among the first 20 industrialised nations on earth. Judging from the track records of most of the nation’s former and present leaders, according to observers, one could conclude that most of them did not come into government to serve the country but to be served by the people as they covertly or overtly pursue their self-aggrandising agenda of acquiring wealth, albeit, illegally. The phenomenon of corruption, as it presented itself in the Nigerian polity, is becoming overwhelming to the extent that the pervasive mentality for the worship of money and materials has become the order of the day. For nearly two decades now, Nigeria has been named among the 10 most corrupt nations in the world by internationally recognised anti-corruption organisations. Apart from the fact that this impact negatively on the image of the country and the integrity of her citizens abroad, this negative tag has also slowed down Direct Foreign Investment (DFI) in Nigeria. Nigeria is presently ranked 121 out of 178 countries ranked in Transparency International Corruption Perception Index (TICPI). 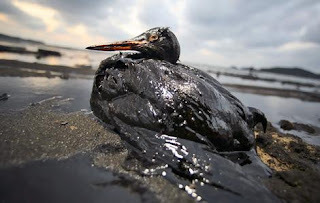 Transparency International also lists Nigeria as one of the oil-producing countries with questionable deals with regards to oil revenues disappearing into pockets of government officials, western oil executives, and middlemen. The oil wealth, according to research, is estimated at billions of dollars, which is squandered, while the majority of citizens live in abject poverty. Oil and gas theft by oil officials is currently at over 100,000 barrels per day in Nigeria. Statistical data also show that the current per capita earning is less than half of what it used to be in the glorious days of the 1980s when Nigeria had $590 income per capita. The Organisation of Petroleum Exporting Countries (OPEC) projections put Nigeria’s net oil export revenues at $27 billion in 2004, a 29 per cent increase compared to $20.9 in 2003, and $16.5 billion in 2002. It is apparent what a barrel of Nigeria’s light-sweet crude cost today. This pattern of corruption is also rampant at all other revenue-making sectors of Nigeria’s economy. There is no doubt about the strong desire of every incoming administration in Nigeria to fight corruption but what is lacking is the political will. Over the years, government, especially at the federal level, has created bodies to fight corruption. Such bodies include: the Economic and Financial Crimes Commission (EFCC) which was set up to tackle financial and related crimes, especially the advance fee fraud known generally as “419”. Other anti-corruption organs are the Independent Corrupt Practices and Other Related Offences Commission (ICPC) mandated to fight corruption in public office and the Due Process Office which oversees and demands that standard processes be followed in the execution of government activities and projects, thereby plugging avenues for bribery and corruption. Despite the deep conviction about the negative effects of corruption on Nigeria, cases of graft have continued to be on the increase. A Lagos-based legal practitioner, Olasupo Ojo, said: “Nigerians from the top of our leadership to the bottom of the ladder should make a concerted effort to fight corruption at all levels of our communities. These include the executive, legislative, judicial, and Non-Governmental Organisations (NGOs). The country should at the least make it our goal to reduce corruption to a mere nuisance within our society. “There should be total transparency and accountability all through the whole scheme of operation in the anti-corruption campaign. No groups or individuals should be classified or perceived as exempted or immune from the adverse consequences for being a perpetrator of corruption. There should be effective reforms at all segments of the judicial branch, which is a major ingredient in the anti-corruption efforts. Another lawyer, Ade Oyebanji, called on the legislators to enact laws that would make the trial of people charge to court for corruption cases faster. He said: “The legislative branch should enact laws that make rights to speedy trial mandatory with specific time frames in corruption cases and the Federal Government will automatically assume a prosecutorial or plaintiff role in the matter. Any corruption case, whether at the federal, state, or local government level should be treated as a crime against the Federal Republic of Nigeria. “There may be need in our judicial system to establish special courts to deal with possible backlog of such cases. The appellate phase may be allowed to follow the normal course of the due process of law. The rights to speedy trials clause will in a number of ways preclude the unscrupulous docket schedulers (such as court clerks) from macro-managing judicial hearings through unnecessary postponements or court hearing delays. In his own view, John Okeke, a student of the Lagos State University (LASU), noted that: “Nigerian government only say or make the talk but no enforcement and those that want to live right are not encouraged by government. In his contribution, a politician, Adewale Banjo, said that: “I think the causes of corruption in Nigeria is that we people are not politically active. If almost everybody in Nigeria contributes to the political developments in Nigeria directly or indirectly, things will change. The government will sit up toward her responsibilities. “Corruption is a cankerworm that has stunted the growth of Nigeria in all ramifications. Corruption in all facets of our economic life will be minimised if everybody will take a decision to effect a change. There is no sincerity in our political, economic, religious lives. “If we must wipe out this monster in our midst in Nigeria, let it start from the top especially our political leaders. Many probes on frauds, looting have not yielded anything reasonable as politicians sit on people’s wealth comfortably without remorse. Now "we are looking at the Nigeria end of things", said a spokesman for Nigeria's anti-fraud police. "The [local] managing director of Shell and that of Halliburton are to appear in our Lagos office today for questioning over bribery cases," said Femi Babafemi, a spokesman for Nigeria's anti-graft Economic and Financial Crimes Commission (EFCC). "Apart from these two chief executives, there are 21 other people, both expatriates and Nigerians, that are to appear in Abuja today for questioning over the scandals," he said, according to Agence France Presse. Earlier this year, Shell was told to hand over a $30m (£19m) criminal fine for paying money to a company that in turn bribed Nigerian customs officials. Now Nigeria's anti-fraud police - the Economic and Financial Crimes Commission - say new developments in the case mean they want to question Shell's managing director in Nigeria, Mutiu Sunmonu. A Shell spokesman said they would fully co-operate with the police, said the BBC's Caroline Duffield in Lagos. Senior executives of Halliburton - and two other companies, Saipem Construction and Technip - were arrested and then released last week. Nigeria is a member of the oil cartel Opec and is one of the world's biggest oil exporters. The brother of Nigerian militant Henry Okah has been charged with kidnapping nine foreign oil workers this year. Charles Okah and three other men denied taking hostages in the oil-producing Niger Delta between August and October when they appeared in court. Charles Okah was charged last month over the Independence Day attacks in Abuja. His brother remains in custody in South Africa, accused of masterminding the car-bombings. The oil workers were freed this month. Nineteen oil workers were rescued in an army operation. The authorities said 63 people had been arrested. 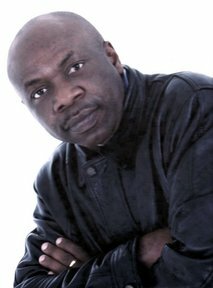 Charles Okah and the other men were accused of kidnapping four Indians, three French citizens and two Russians. Most of Nigeria's oil militants have laid down their weapons as part of a government amnesty but one faction is believed to be behind a recent upsurge of violence. This began with the attacks on the capital Abuja, which killed 12 people on 1 October, as Nigeria was celebrating 50 years of independence from the UK. The Movement for the Emancipation of the Niger Delta (Mend) says it is fighting so that more of Nigeria's massive oil wealth is used to benefit the Niger Delta area which produces the oil. But criminal gangs have taken advantage of the region's instability to make money from ransoms paid by oil companies, and by stealing oil. The Federal Government will stop subsidising marketers who buy premium motor spirit from Noble Group, a Singapore-listed trader in a move likely to prevent the company from dealing in the county's $6 billion fuel market. 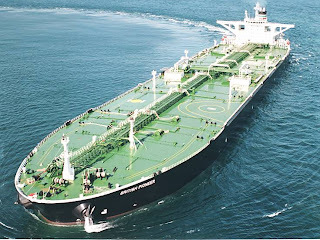 Citing discrepancies in Noble's shipping lists, in a fax sent to all Nigerian fuel marketers, the Petroleum Product Pricing Regulatory Agency (PPPRA) warned that it will not accept claims for subsidies if the fuel comes from the Singapore trader. "Any vessel transaction or bill of lading emanating from Messrs Noble Clean Fuels will not be accepted for subsidy claims under the scheme", the PPPRA said in the fax message signed by one Mr. O. Agbaje on behalf of the agency's Executive Secretary, Mr. Abiodun Ibikunle. It was learnt that the regulatory agency discovered some irregularities in a transaction by Noble to the effect that the volume of fuel submitted for subsidies did not tally with the actual quantity of product delivered. Sources hinted that the foreign trader failed to come up with satisfactory responses to requests by the PPPRA for clarification on the said transaction. However the blacklisting of Noble has elicited reactions from some petroleum products suppliers, some of who argued that the agency lacked the power to implement a blanket ban on the company. Chief Executive of Petrodel Michael Prest, whose company also supplies product to the Nigerian market, in an interview with Reuters said he was familiar with the complaints about Noble's operations in Nigeria, but questioned any decision that would prevent it from supplying. "Do you kill a company doing 30 percent of imports to the private market? What you should do is try to perfect what was clearly an imperfect system. What you don't want is to create a brick wall that frightens away suppliers such as Noble," he said. Nigeria, Africa's biggest oil producer currently imports more than 90 percent of its petroleum products due the country's low refining capacity. All the four refineries, with combined installed capacity of 445,000 barrels per day, have for years operated far below their capacity utilisation. As at April this year, the Department of Petroleum Resources (DPR) said the refineries in Warri, Kaduna and Port Harcourt performed at only 18.72 percent of their installed capacities. The oil and gas industry regulator had blamed the situation on equipment failure, lack of haulage for some products and intermediates and lack of feedstock. 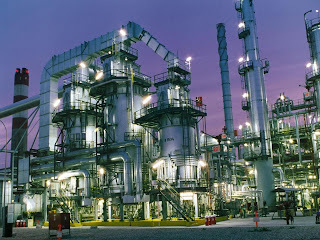 The recent attack on the Escravos Warri pipeline that feeds them the Warri and Kaduna Refineries, has further reduced Nigeria's refining capacity. Prior to the attack by the Movement for the Emancipation of the Niger Delta, the Warri Refinery was said to have been operating at about 70 percent of its capacity utilisation of 125,000bpd. Nov. 22 (Bloomberg) -- Mercuria Energy Trading SA sought to buy a cargo of North Sea Forties crude without finding a seller. Nigeria raised the official selling price of its benchmark grades. Mercuria said it bid for a Forties cargo loading on Dec. 13 to Dec. 15 at 15 cents below the Dated Brent benchmark, without concluding a transaction. Reported North Sea market activity typically occurs during a trading window that ends daily at 4:30 p.m. in London. 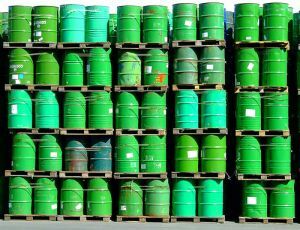 Prior to the window, Forties loading from 10 to 21 days in the future cost 37 cents less than Dated Brent, from 45 cents less the day before, according to data compiled by Bloomberg. Brent crude for January settlement traded at $83.39 a barrel on the London-based ICE Futures Europe exchange at the close of the window, down from $84.20 a barrel at the same time on Nov. 19. The February contract traded at $83.55 a barrel, widening the contango, or price spread, between the two nearest- term contracts to 16 cents. Nigeria raised the official selling price of its benchmark Qua Iboe and Bonny Light crude exports in December by 5 cents a barrel, according to a price list obtained by Bloomberg News. Exports of the two grades will be at $1.55 a barrel above the Dated Brent benchmark next month, the price list compiled by state-owned Nigerian National Petroleum Corp. showed. On Nov. 19 Royal Dutch Shell Plc declared force majeure on Bonny Light crude loadings following a pipeline leak. Indian Oil Corp., the country’s biggest state refiner, is seeking to buy crude for loading in February, according to official documents. The tender for oil from regions including West Africa, North Sea and the Caspian closes on Nov. 24. 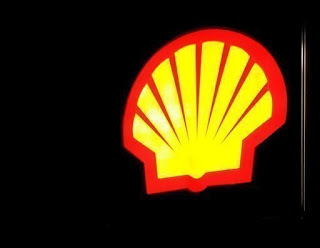 Royal Dutch Shell PLC (RDSB) said Thursday it was ramping up oil production in Nigeria's Niger Delta after repairing a pipeline damaged by oil thieves. A company spokesman said repairs on the Trans-Niger Pipeline, which supplies Bonny Light oil, have been "completed and production is ramping up." Friday, the damage had led Shell to declare force majeure on supplies from the pipeline, which the spokesman said was still in place as of Thursday. The declaration protects oil companies if they default on supply commitments. The problem "was caused by crude theft activities. Unknown persons drilled holes in the pipeline," the spokesman said. It's unclear how much production was affected. But prior to the force majeure, Nigeria was planning to export six full cargoes and one half-sized cargo of Bonny Light for December. Ghana’s ruling party wants to change an oil-revenue bill being debated by lawmakers this week to allow the West African nation to use energy-industry funds as collateral for borrowing on international capital markets. Moses Asaga, chairman of the parliamentary energy committee and a member of the National Democratic Congress party of President John Atta Mills, said using the country’s oil wealth would allow them to borrow funds to develop infrastructure. “In the short term we want to move the standard of living of Ghanaians,” Asaga told lawmakers today. A draft of the bill released in August banned the government from borrowing against revenue earned in the nascent energy industry. Ghana is set to become Africa’s newest oil exporter next month when production begins at its offshore Jubilee oil field. Using the oil revenue as collateral will lead to over- borrowing and high levels of debt, according to some members of the country’s biggest opposition group, the New Patriotic Party. “I do believe this will be the beginning of the oil curse in our country,” Joseph Adda, a former energy minister and NPP member of parliament, told lawmakers today. Ghana expects to earn 584 million cedis ($403 million) in fiscal revenue from oil next year, Finance Minister Kwabena Duffuor said Nov. 18. Earnings from the growing industry will help lift economic growth to 12.3 percent, he said. To contact the reporter on this story: Jason McLure in Accra at jmclure@bloomberg.net. The cost of North Sea Forties crude was little changed as traders refrained from placing bids or offers in the Platts trading window today. Royal Dutch Shell Plc said its disruption of Nigerian Bonny Light exports will last through to January. Reported North Sea market activity typically occurs during a trading window that ends daily at 4:30 p.m. in London. Prior to the window, Forties loading from 10 to 21 days in the future cost 30 cents less than Dated Brent, from a 34-cent discount yesterday, according to data compiled by Bloomberg. Brent crude for January settlement traded at $82.98 a barrel on the London-based ICE Futures Europe exchange at the close of the window, down from $83.39 a barrel at the same time yesterday. The February contract traded at $83.15 a barrel, widening the contango, or price spread, between the two nearest- term contracts to 17 cents from 16 cents. Nigeria’s Bonny Light crude for loading loaded in December and January will be affected by a force majeure declared by Royal Dutch Shell Plc on Nov. 19 after a pipeline leak, a company spokesman said. “We investigated and discovered that the leaks were caused by crude theft”, Precious Okolobo, Shell’s spokesman in Nigeria, said by phone from Lagos. Repairs on the Trans Niger Pipeline “are progressing but I can’t confirm when they will be completed,” he said. Libya’s National Oil Co. kept the official selling price for exports of Es Sider crude unchanged in December at a discount of 40 cents to Dated Brent, according to data posted on its website today. ACCRA — Ghana, to start commercial oil production next month, will use crude revenues to transform its economy, aiming to avoid the pitfalls of nations finding new resources, the finance minister said Thursday. Oil is expected to account for six percent of Ghana's domestic revenue in the 2011 fiscal year, Finance Minister Kwabena Duffuor said while presenting next year's budget to the parliament. He did not estimate by how much this could increase after production begins in December but vowed Ghana would "avoid the pitfalls that have characterised some countries on the discovery of new national resources". "A major challenge will be how the oil revenues will be used to transform the economy and accelerate growth without sacrificing macro-economic stability and accentuating income inequalities," the minister said. Nigeria is Africa's leading oil producer and the world's eighth exporter but most of its people live in poverty, with revenues mismanaged or stolen, triggering anger in poor communities in the oil-rich Niger Delta region. Chiefs from Ghana's oil-rich western region are demanding a 10 percent share of revenue when production begins next month. Duffuor said that for the first three to four years after production begins, "the oil revenue will be considerably lower than the non-oil tax and non-tax revenues." He gave no figures. "Total revenue from oil into the (2011) budget is estimated at 584 million cedis (406 million dollars)," he said. Ghana's Jubilee field, discovered three years ago, and one of the biggest finds in West Africa of the past decade, is believed to hold about 1.5 billion barrels of reserves. The country, the world's second largest cocoa producer, has also announced the discovery of another "extensive deepwater petroleum province" offshore. Its gross foreign reserves increased to 3.9 billion dollars in October from 3.1 billion at the end of last year, the minister said. GDP, which grew by 4.1 percent last year, is expected to reach 5.9 percent this year and 12.3 percent next year, he said. Inflation fell from 20.7 percent at the end of June 2009 to 9.3 percent in October this year due to "prudent fiscal management, continued monetary restraint...(and a) good food harvest," the minister said. The fiscal deficit was meanwhile expected to decline to a target of 7.5 of GDP. Collateralization Of Ghana’s Future Oil Revenues:- IS THIS A CONVENIENT STEP TOWARDS THE ‘CURSE’ OF OIL? Ghana is close to first oil and even before it drops, indications are that the country may be heading towards ‘oil curse’. Parliament is considering the Petroleum Revenue Management Bill which in clause 5 provides for the prohibition of using its petroleum accounts and oil reserves as collateral for loans. However, government has proposed an amendment to the clause to allow it to collateralize 70% of benchmark oil revenues that are earmarked for budget support. This proposal coming from the Ministry of Finance and Economic Planning which laid the original bill confirms the lack of a clear policy on oil-backed loans and indication that due diligence has not been conducted on the possible options for managing oil revenues. It is well documented that most countries who have borrowed against future oil revenues have become victims of ‘oil curse’, an experience which should prompt Ghana about the consequences of this proposal. The policy on collateralization of oil revenues became prominent during the booms of the 1970s when oil rich countries excited by the prospects of increased future oil revenues embarked on heavy borrowing. The effect was that their economies were tied to their creditors whiles the subsequent servicing of these debts crippled economic transformation. An analysis of Ghana’s economy shows that Ghana will certainly join the ‘oil curse’ countries if it adopts this proposal. The curse will manifest in high indebtedness, high fiscal deficits, high costs of investment and intergenerational burden. These have implications for debt sustainability, fiscal sustainability and sustainable development. There is no doubt that collateralization of future oil reserves and revenues will provide additional funding for massive development financing. That Ghana is a capital scarce country faced with serious developmental challenges is no secret. However, this argument about ‘economics without limits’ may not work for Ghana which must learn to live within its means. The repercussions of living above your means are also well known as we have already experienced through our persistently high fiscal deficits. It must be noted that Ghana’s developmental challenges cannot be overcome at once but requires a cautious plan for a faced development process. Thus, the big-push model of development often lead to overheating of developing economies which are consequently confronted by future resource scarcity and the possibility of delayed development impacts. Rather than create fiscal respite for Ghana and enhance fiscal sustainability, oil revenues are going to be used to make Ghana heavily indebted. At HIPC completion point, Ghana’s debt levels were around 45% of GDP which was considered sustainable. However, by the end of 2010 Ghana’s debt profile will constitute about 66% of GDP after reaching 62% in 2009, which brings the country to its pre-HIPC status as a highly-indebted country. If the Parliament allows the collateralization of future oil revenues, the result is to increase the country’s appetite for loans which has been our bane but which have undermined the country’s economic independence. It is even worrying when government is not cautious of fiscal sustainability. The danger is that future oil revenues are not permanent but are also volatile due to uncertain crude oil prices. Therefore, while revenues will eventually decline during the depletion stage of our oil fields, debts are also accumulated to the extent that oil revenues will become insufficient and unreliable source of servicing the debts. In this case, future development is sacrificed in favour of debt service as financial resources meant for development will be used for repaying debts and thereby undermining sustainable development. This was the case of Norway between 1978 and 1981 when it started repaying its debts following debt accumulation as a consequence of its oil revenues. Furthermore, the high-indebtedness weakens the international reserve levels especially when the country starts servicing the debts which thereby reduces the country’s credit worthiness. This then undermines the sovereign guarantee of the country and subsequently limits future development financing opportunities for the country. Ghana is largely associated with low absorptive capacity because of weak institutions and weak budgetary planning and execution among others. Collateralization of future oil revenues therefore triggers more borrowing for investments at high investment costs. The problem here is that an intergenerational burden is imposed on future generations who have to pay for the inefficiencies of current investments, financial mismanagement and corruption notwithstanding. This has both economic and governance implications particularly when the loans are not invested productively. Since 2007, Ghana has been grappling with high fiscal deficits with the highest recorded in 2008 at 14.5% of GDP. If oil revenues meant for budget support are collateralized for loans, this could lead to doubling or tripling of government expenditures. The reason is simple. Budget support revenues from the petroleum accounts will be spent through the budget in addition to the loans that are contracted. Such high spending could compromise the efforts of the country at reducing its fiscal deficits. The effect is that future oil revenues and non-oil revenues will not go to direct development effort but used for deficit financing with its implication for the health of the economy. One of the main features of resource-rich countries is the effects of large capital inflows into their economies. Annual oil revenues coupled with new loans will no doubt lead to the real appreciation of Ghana’s currency and depending on the elasticity of foreign demand for Ghana’s commodities of cocoa, timber or other manufactured products; the international competitiveness of the country will be weakened. Apart from worsening the terms of trade, this will result in the decline of agriculture and manufacturing growth, two important sectors that provide the largest employment opportunities for the population. Social upheavals that follow high unemployment levels could lead to ‘oil nationalism’, a consequence of the ‘curse’ of oil. Perhaps Norway which has been touted as a success story in oil revenue management could be a good lesson for Ghana. Norway’s oil boom in the 1970s led to serious problems for its economy including being the highest current-account deficit and most indebted country among the OECD countries by 1975. Realizing the effect on its economy, the then government of Norway put a stop to its previous ‘expenditure imprudence’. They also stopped borrowing due to the difficulties it posed to the economy and started repaying its debts at the expense of development between 1978 and 1981. Norway’s economy was stagnant during these times and they could only rely on its high productivity levels and good institutions to take off again with economic transformation. Even with its strong institutions and good governance, Norway could not escape the ‘Dutch disease’ when its agriculture declined from 6% to 4% of GDP and manufacturing from 20% of GDP to 15% of GDP whiles the value of its total exports fell appreciably due to a weakened competitive position. One wonders whether Ghana has what it takes like Norway to halt borrowing and find internal resources to repay our debts and take off with economic transformation when future oil revenues are declining. Our institutions are weak, domestic mobilization of resources is not significant and the short-term interests of political leaders (demonstrated by excessive spending during election years) as opposed to the long-term interest of the state’s sustainable development, are some of the reasons Ghana should reconsider its proposal for collateralization of its future oil revenues since they expose our inability within the next decade or more to be financially independent with potentially high debt levels. Ghana has a window of development opportunity with the fiscal space provided by expected oil revenues. These resources must be managed well by investing in pro-growth and pro-poor sectors such as agriculture and industry. The country must also be mindful of its fiscal difficulties demonstrated by the huge fiscal deficits and learn to live within its means. Borrowing is not necessarily bad if the money is spent productively. Borrowing becomes bad when it is unsustainable and thereby lead to long-term insolvency. Ghana’s experience with HIPC rings a bell. That is, a country with unsustainable debt levels is in crisis whiles the cost of rebuilding the economy requires serious austerity cuts that affect social and development spending, a significant cost which may undermine sustainable development. As Parliament passes the Petroleum Revenue Management law, the nation awaits the choice our members of parliament make for us – whether the short-term benefits of political leaders to overspend and win elections without considering the negative effects of excessive borrowing; or the long-term sustainable development of the state which is the owner of the country’s petroleum resources. Nigeria’s Kaduna oil refinery is operating after a minor malfuction, an official of the state- owned Nigerian National Petroleum Corp. said. “The refinery was not shut down,” Levi Ajuonuma, spokesman of the state-owned Nigerian National Petroleum Corp. said by phone today from Abuja. “There was a little problem but it has been sorted out.” He didn’t did not give further details. The 110,000-barrel-a-day refinery is located in the northern city of Kaduna. It is running at 24 percent of its installed capacity, the Department of Petroleum Resources which oversees the country’s oil and gas industry said on Nov. 15. 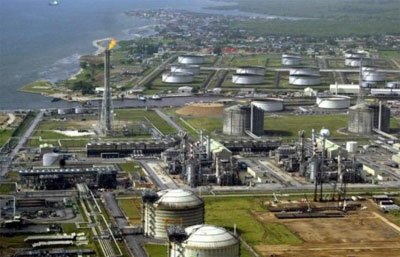 Nigeria’s four state-run oil refineries are producing at about 30 percent of installed capacity, the DPR said. Africa’s top oil producer relies on fuel imports for more than 70 percent of its domestic needs, according to the Petroleum Ministry. 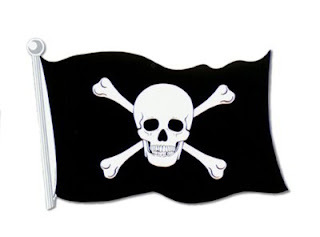 Bloomberg) -- Mercuria Energy Trading SA sought to buy a cargo of North Sea Forties crude without finding a seller. Nigeria raised the official selling price of its benchmark grades. 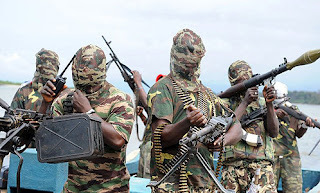 LAGOS, Nigeria (AP) - Nigeria's state-run oil firm says militants have blown up one of its pipelines. The Nigerian National Petroleum Company said in a Monday statement that militants attacked its Warri-Lagos Escravos pipeline on Saturday. Company spokesman Levi Ajonuma said the company was repairing the pipeline and that no group claimed responsibility for the act, which came a day after the military arrested over 60 militants in the oil-rich delta. Militants in the restive region have attacked pipelines, kidnapped petroleum company employees and fought government troops since 2006. Some militants say they want more oil money to come to an area still gripped by abject poverty and pollution after more than 50 years of oil production. 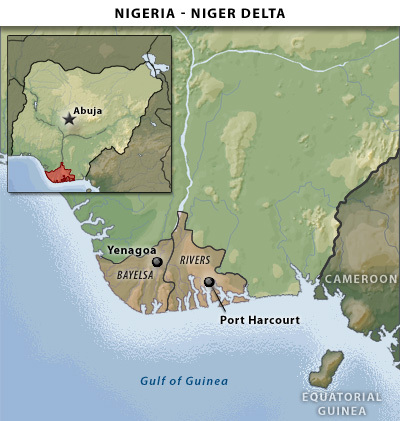 Nigeria is one of the top crude oil suppliers to the U.S.
Nigeria's main militant group has intensified attacks on oil installations in the southern Niger Delta and threatened Monday to bring the industry to its knees. In an e-mailed statement, the Movement for the Emancipation of the Niger Delta (MEND) denied claims by the military and government that a co-ordinated attack was launched against one of its camps in Rivers state in the Niger Delta. "It is a well known fact that the Nigerian military [lacks] such capabilities or imagination. This amusing claim must have been extracted from a war novel," it said. The security forces rescued 19 hostages -- two Americans, two Frenchmen, two Indonesians, one Canadian and 12 Nigerians -- from a camp in the mangrove creeks late on Wednesday. But MEND said on Friday it would carry out more kidnappings from oil facilities and said they had killed several soldiers in an ambush of military gunboats. "We promise to the people of the Niger Delta to bring oil companies operating in Nigeria to their knees and reclaim all lands stolen from the people of the Niger Delta," it said Monday. Previous attacks by MEND fighters have significantly cut Nigeria's oil production, currently averaging around 2.2 million b/d. Nigeria depends on oil for more than 90% of its export revenue and more than 80% of its government revenue. Pirates boarded a Russian oil tanker off the coast of Nigeria, wounding a crewman with gunfire before fleeing, the ship’s owner said. Ten gunmen boarded the NS Spirit near the port of Lagos at 1:49 a.m. Moscow time and fled after the shooting, OAO Novoship, a unit of state-run OAO Sovcomflot, said on its website today. None of the other 21 members of the all-Russian crew were injured in the attack on the ship, which was carrying gasoline, Novoship said. LONDON (Reuters) - Nigeria is unlikely to pass long-awaited oil reform until after elections as the government struggles to harmonise a final draft of the bill, two lawyers advising the government told Reuters at a conference. While a swift passage of the Petroleum Industry Bill (PIB) would be a potential coup for President Goodluck Jonathan ahead of elections, its progress has been marred by constant revisions by both government officials and industry stakeholders. "I would give it a 20 percent chance of passing, (before January). Even within the legislative arm of government there are various drafts," said Aderemi Oguntoye at Nigerian law firm Babalakin at an industry conference on Thursday. His firm was hired by the government's joint committee to review the legislation. "If it's not in December it definitely won't be in the first quarter of next year," he added. Polls are scheduled for January but look increasingly likely to be pushed back until April after parliament voted a constitutional amendment allowing elections to be held as late as April. The PIB is now with Nigeria's Senate, a senior lawmaker said earlier this month. Oil executives uncertainty over the legislation -- which could significantly raise the cost of operating in the west African country -- have put billions of dollars of potential investment on hold. Goodluck Jonathan's aide said on Thursday that a major oil licensing round was unlikely before the PIB is passed. A second lawyer, Nicolas Bonnefoy, at French firm Gide Loyrette Nouel, about to start a review of the legislation on behalf of the government, was equally sceptical about it becoming law ahead of elections. "If you asked me a year ago whether it would pass before the election, I would have said 'yes' as it would give the government leverage. But now I think it will be after," he said on the sidelines of the conference. Asked if he had seen a final draft of the law, he replied: "Which one? There are so many drafts circulating." Chevron Nigeria Limited, CNL, estimates that about $500billion more would be required for new discoveries and fields’ development in the deep water, in addition to the $30billion already spent over the past decade. Broken further down, Chevron estimated that the bulk of the sum about $40billion would be deployed to new discoveries to fully recover known reserves, while the balance of $10billion would be used to ultimately develop existing fields. The Director, Deepwater Assets & PSCs, CNL, Mr. Ken Sample, who spoke on: “Growing Nigeria’s Oil Reserves and Production: What Role for Deepwater? during the 3rd Deep Offshore West Africa Conference, DOWC, in Abuja, said production from the deepwater region is expected to increase due to maturation of existing discoveries. He noted that hitherto, the Onshore/Shelf exploration and production has dominated the Nigerian oil industry since the 1960’s, but however, added that recent major discoveries have shown that the deepwater is expected to play a significant role in the Federal Government’s aspiration to grow reserves and production. Government has set new reserves and production targets at 40 billion barrels and 4million barrels per day respectively, but the date of achieving them is still a matter of controversy between the government and the industry operators. Notwithstanding that major deepwater discoveries in the late _1990’s have changed the oil exploration/production landscape; Sample argued that further breakthroughs in this region are dependent on four pillars technology, cost efficiency, commitment and friendly environment. He said, “Nigeria’s Deepwater has a major role to play in growing the country’s oil and gas reserves, production and economy. (But) significant investments and new technologies will be required to find new oil and maximize recovery from existing fields. Speaking further on each of the issues, Sample said that better technology is needed to not only improve oil recovery from existing fields, but also boost the finding and development of new fields. To avert downstream chaos and recurrent petroleum products scarcity, industry operators are asking for $900bn bailout from the Federal Government. The lifeline is expected to assist operators to retool their operations while also renegotiating their exposures to the banks. Operators are seeking the bailout as a last resort, pending when government eventually gets round to fully deregulating downstream operations, which would help them recover costs without undue interference by government. Addressing newsmen in Lagos on Monday, the Jetty and Petroleum Tank Farm Owners of Nigeria, JEPTFON, warned of dire consequences with regard to petroleum products supply and distribution in the country, seeing as the private sector accounts for more than 70 per cent of products availability in the country. The JEPTFON alarm is coming against the backdrop of possible takeover of member companies by the newly established Asset Management Corporation of Nigeria, AMCON, set up by the Central Bank of Nigeria, CBN, to buy up toxic loans to banks, which plunged the industry into its current distress. The Jetty owners note that if not nipped in the bud, the acquisition of their companies by AMCON on account of their indebtedness to the banks, will send the wrong signal to the international business community, which was already assessing Nigeria’s progress with building and growing indigenous capacity in the oil industry, through the recent enactment of the Nigerian Content Act. Indeed, no sooner had the CBN wielded the big stick against the banks for indiscriminate margin loans and other sundry facilities, leading to massive management indiscretion and corruption, than the banks started hounding some of their oil industry debtor customers, starting with African Petroleum, AP, by Access Bank; and just recently, MRS Oil and Gas by Bank Phb. Justifying their demand for a bailout, JEPTFON, who spoke through its Acting Secretary General, Mr Somairi Tamunokuro; and its spokesperson, Mr. Peter Akpatason, a former President of the National Union of Petroleum and Natural Gas Workers, NUPENG, noted that government had used oil wealth to bailout other sectors of the economy, and that there is no reason why the sector should not also benefit from its own resources. They argued further that considering that their loans were invested in-country in form of downstream logistics such as petroleum depots, jetties, storage vessels and a host of others as well creating employment opportunities for hundreds scores of thousands of Nigerians, any takeover of the companies will lead to huge economic dislocation of millions of families. Furthermore, they said that operators would be forced to go offshore to seek for debt financing, leading to further impoverishment of the economy through huge capital flight, which, otherwise, would have been domiciled in the economy. Ironically, the Yuletide Season is usually characterised by fuel scarcity, which would become compounded if 70 per cent operations are stifled, with no succor, as the existing refineries cannot meet local fuel needs. With the general elections round the corner, the development will make the incumbent government unpopular among the masses, as meeting energy needs is one of the measures of assessing government’s stewardship. PORT HARCOURT, Nigeria — Foreign oil workers among 19 hostages freed by Nigeria's military described a "shocking" ordeal Thursday, while authorities said no ransom was paid and vowed to wipe out militant camps. The military freed the 19 hostages in an operation on Wednesday in the Niger Delta region, the heart of one of the world's largest oil industries. The victims included American, French, Indonesian, Canadian and Nigerian nationals. The hostages were presented to journalists on Thursday, with the military saying they had been rescued from a militant camp, and appeared in relatively good health. A Canadian hostage nursing a gunshot wound to his foot which he said resulted from a ricocheted bullet said the men saved rainwater for washing and drinking. "It's a shocking experience and I wouldn't want anybody to ever go through such a thing," said Robert Croke, who was abducted in a raid on a support vessel and Transocean-owned oil rig last week. James Robertson, an American oil worker taken in the same raid as Croke in the early hours of November 8, said the crisis was "like being in a prison." A Nigerian military official said no ransom was paid for the release of the 19 hostages, who were believed to have been abducted in three separate incidents. A number of militant camps had been "taken over" by the military in recent days, he said. "These gentlemen were recovered from Obese Camp in Rivers state," said Major General Charles Omoregie, referring to a camp said to be named for a militant leader. "Not a dime was paid for the release of these gentlemen. It was a sustained raid. We don't go into negotiations." He said there had been no casualties, adding the military operation would continue "for as long as it will take to uproot these criminals from the Niger Delta." President Goodluck Jonathan in a statement on Thursday warned "that those who continue to hide under acronyms to engage in criminal acts of self-enrichment will no longer find a safe haven anywhere in the Niger Delta." It was an apparent reference to those claiming to be members of militant groups, including the country's main such organisation MEND -- the Movement for the Emancipation of the Niger Delta. The rescue came after a series of kidnappings in the turbulent Niger Delta, with the military having threatened action to clear out militant camps. Recent attacks had signaled a new round of abductions in the region after an amnesty programme last year was credited with greatly reducing unrest. 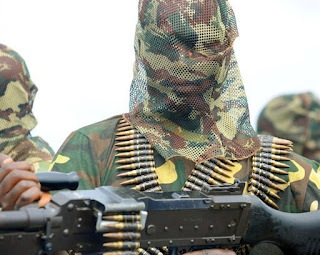 MEND had claimed responsibility for kidnapping 14 of the hostages. Eight were taken in an attack this week on an ExxonMobil facility, while seven others were kidnapped last week in a raid on a support vessel and Transocean oil rig overseen by Afren. The remaining four were employees for Julius Berger taken in another incident. In total, there were two Americans, two French, two Indonesians, a Canadian and 12 Nigerians. 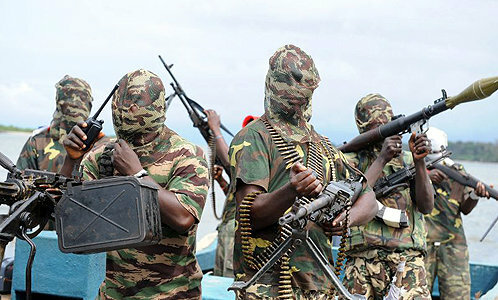 MEND has claimed scores of attacks in the Niger Delta. In a statement on Tuesday, it warned of a "major operation" and claimed one of its camps had come under military fire on Monday. Nigerian authorities at the time confirmed operations were underway to hunt down kidnappers, but provided few details. Unrest in the Niger Delta before the government offered an amnesty deal to militants last year had slashed production in one of the world's largest oil exporters. The amnesty was credited with greatly reducing unrest in the region and oil production has rebounded to an estimated 2.2 million barrels per day, but there has been a new round of attacks in recent months. Many observers say the amnesty has failed to address underlying issues of poverty and unemployment in the Niger Delta. Militant leaders given stipends in exchange for turning in their weapons would eventually be replaced by others, they warned. MEND, which claims to be fighting for a fairer distribution of oil revenue, has also been seen as an umbrella organisation for criminal gangs. It is believed to have splintered, particularly over the amnesty. The recent attacks come ahead of elections set for early next year. Jonathan, who is running in the elections, is from the Niger Delta and faces pressure to resolve the situation in the region. Nigeria’s Daily Crude Oil Exports Set to Be Unchanged in January. Nigeria, a favored supplier of oil to U.S. refiners, plans to keep daily exports of its 14 main crude grades unchanged in January, according to preliminary loading schedules. 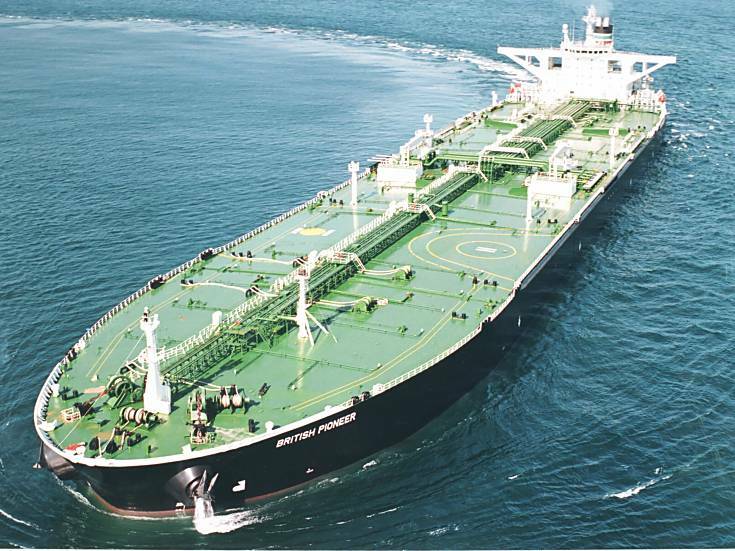 Shipments of the Nigerian crude will average about 2.2 million barrels a day, the loading plans obtained by Bloomberg News show. The same volume is to be shipped in December which exclude Oso, Okwori and Pennington grades. Nigerian crude is mostly made of the light sweet variety favored by U.S. refiners for the quantity of gasoline it produces when processed. The oil trades as much as two months in advance. The west African state has a production target of 1.673 million barrels a day under its Organization of Petroleum Exporting Countries’ quota. 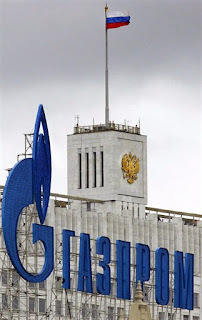 OAO Gazprom, the world’s largest gas producer, may delay plans to invest billions of dollars in Nigeria until after an oil bill is passed and general elections are held next year. Nigeria has Africa’s biggest hydrocarbon reserves of about 36 billion barrels of crude oil and 187 trillion cubic feet of gas, according to the Petroleum Ministry. The country plans to spend $30 billion to build a gas pipeline network and processing facilities to supply domestic users and a pipeline across the Sahara Desert to Europe. Failure to link power plants now under construction to gas supplies by investing in a pipeline network will frustrate efforts to end chronic power shortages, Bart Nnaji, presidential adviser on power, said Nov. 8. The country’s parliament is working on new petroleum industry legislation that will spell out rules for operating in the oil and gas business. The law is likely to be approved before the end of this year, Emmanuel Egbogah, presidential adviser on petroleum, said Nov. 16.
International oil companies, including Royal Dutch Shell Plc and Chevron Corp., have protested against proposals to raise oil royalties and taxes, which they say will discourage capital- intensive investments in the country’s deep offshore waters. Nigeria says oil production will remain competitive under the provisions of the law. Last year, Gazprom signed an agreement in Abuja to form a company called NiGaz Energy Co. Ltd. that will invest in gas production, transportation and infrastructure in Nigeria. Boris Ivanov, head of Gazprom’s global exploration and production unit, valued the venture at a minimum of $2.5 billon. “The projects are long term” and the partners are in “a lot of discussions,” according to Ilyanin. Gazprom also has an understanding with Nigerian energy company Oando Plc “to jointly develop projects in multiple sectors of Nigeria’s oil and gas industry.” The two operators were among 15 energy companies selected by the Nigerian government in March last year as potential investors to help develop gas projects. Political tension has heightened in Africa’s most populous nation after President Goodluck Jonathan, a southerner from the oil-rich Niger Delta region, declared his intention to run for president again in the elections expected to be held in April. To contact the reporter on this story: Paul Okolo in Abuja pokolo@bloomberg.net. To contact the editor responsible for this story: Peter Hirschberg at phirschberg@bloomberg.net. LONDON (Reuters) - Nigeria will not hold a major oil licensing round until wide-ranging reforms to Africa's largest oil and gas industry are passed into law, an aid to the country's president said on Thursday. The long-delayed Petroleum Industry Bill (PIB), which aims to solve funding problems and boost Nigeria's oil and gas output, has been subject to numerous revisions and it remains unclear when the reforms will be passed. "I don't see the major licensing round before it is passed." The OPEC member holds periodic licensing rounds for new blocks and has said the next will be a chance for domestic companies and foreign firms new to Nigeria to gain a foothold. Officials have said the next auction is likely to be for both onshore and offshore fields totalling at least 2 billion barrels. The fact the PIB is delaying a possible licensing round highlights oil executives uncertainty over the passage of the legislation, which they believe has meant billions of dollars of potential investment are on hold. One of the major concerns raised by international oil companies was the planned increase in government tax on deep offshore projects, where Nigeria expects to see much of its production growth in the coming years. 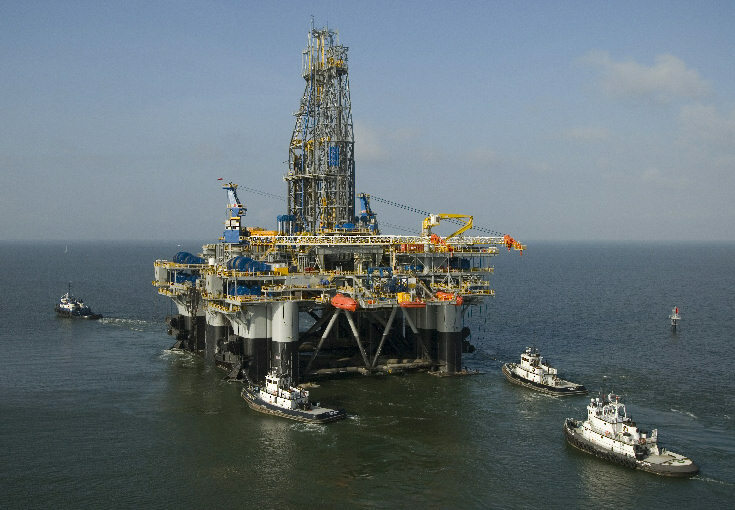 Tim Okon, group general manager for strategy at Nigeria's state-oil firm, told a London conference on Thursday the increase on existing deep offshore projects would be to 60-70 percent from a current 50 percent. Tukur said that the most recent delays were the result of the political calendar not revisions during the consultation process with international oil companies. PRESIDENT Goodluck Jonathan on Wednesday in Abuja, took a swipe at the oil corporations operating in Nigeria, claiming that their operations have adverse effects on the country's environment and food production, reports AkanimoReports. Relations, Ken Saro-Wiwa jnr, added, ''while oil produces national wealth, it has paradoxically also caused human misery among our people. Government is determined to ensure a clean national environment from Calabar to Lagos, from Sokoto to Maiduguri and indeed everywhere in this land''. President Jonathan said he firmly believes that the environment is the life of the people, pointing out, ''government will unfold a clear environmental agenda that will ensure that Nigerians have a safe and satisfactory environment in which to live in a healthy and productive manner''. Continuing, he said the change the country desires will not be top down, but bottom up. ''The foundation must be solid for a house to stand. I am a grassroots person and i have confidence that working with civil society groups, including small-scale farmers, producers and consumers is not an option but an imperative. billion people who go to bed hungry in the world. About the same number are known to be obese. Hunger and obesity, especially the type that emanates from malnutrition, are ills that must be fought. Government pledges not to relent in this''. of its population and ensure food sovereignty instead of depending on corporations and foreign countries who will place heavy burden on our people and greatly impact the environment and livelihoods''. In his welcome address, the Executive Director of ERA, Nnimmo Bassey, said hunger has become a [political tool for manipulation of citizens, with devastating impacts on the poor. ''We note that African countries have really been open to manipulation by international financial institutions as well as aid and development agencies. Such bodies draft policy directions and foist them on African countries including Nigeria. We are forever domesticating policies that are of dubious benefit to our agriculture or poverty combarting needs'', he said. According to Bassey, the idea of fighting hunger has become big business, pointing out that food aid, with the connotation of philanthropy, has become nothing short of big business and a tool for crass manipulation and intimidation of those who are adjudged to be hungry. Reserves - Nigeria postponed its target for oil reserves of 40 billion barrels by two years to 2012, said Emmanuel Egbogah, presidential adviser on petroleum. Africa's largest oil producer has delayed its production capacity target of four million barrels a day from 3.7 million barrels by the same time frame, Egbogah said Tuesday. Nigerian oil reserves is currently at 38.2 billion. Nigeria is the fifthbiggest source of U.S. oil imports. Royal Dutch Shell, ExxonMobil Corp., Chevron Corp., Total SA and Eni SpA run joint ventures with the state-owned Nigerian National Petroleum Corp. to pump the country's crude. The Automatic Identification System (AIS) is an automated tracking system used on ships and by Vessel Traffic Services (VTS) for identifying and locating Vessels by electronically exchanging data with other nearby ships and VTS stations. AIS information supplements marine radar, which continues to be the primary method of collision avoidance for water transport. An AIS equipped system onboard a ship presents the bearing and distance of nearby vessels in a radar-like display format. A graphical display of AIS data onboard a ship. Information provided by AIS equipment, such as unique identification, position, course, and speed, can be displayed on a screen or an ECDIS. AIS is intended to assist a vessel's watchstanding officers and allow maritime authorities to track and monitor vessel movements. AIS integrates a standardized VHF transceiver with a positioning system such as a LORAN-C or GPS receiver, with other electronic navigation sensors, such as a gyrocompass or rate of turn indicator. Ships outside AIS radio range can be tracked with the Long Range Identification and Tracking (LRIT) system with less frequent transmission. The International Maritime Organization's (IMO) International Convention for the Safety of Life at Sea (SOLAS) requires AIS to be fitted aboard international voyaging ships with gross tonnage (GT) of 300 or more tons, and all passenger ships regardless of size. It is estimated that more than 40,000 ships currently carry AIS class A equipment. In 2007, the new Class B AIS standard was introduced which enabled a new generation of low cost AIS transceivers. This has triggered multiple additional national mandates from Singapore, China, Turkey and North America affecting hundreds of thousands of vessels. In busy waters and harbors, a local Vessel Traffic Service (VTS) may exist to manage ship traffic. Here, AIS provides additional traffic awareness and provides the service with information on the kind of other ships and their movement. The ability to broadcast navigational aid positions has also created the concepts of Synthetic AIS and Virtual AIS. In the first case, an AIS transmission describes the position of physical marker but the signal itself originates from a transmitter located elsewhere. For example, an on-shore base station might broadcast the position of ten floating channel markers, each of which is too small to contain a transmitter itself. In the second case, it can mean AIS transmissions that indicate a marker which does not exist physically, or a concern which is not visible (i.e., submerged rocks, or a wrecked ship). Although such virtual aids would only be visible to AIS equipped ships, the low cost of maintaining them could lead to their usage when physical markers are unavailable. For coordinating resources on scene of marine search & rescue operation, it is important to know the position and navigation status of ships in the vicinity of the ship or person in distress. Here AIS can provide additional information and awareness of the resources for on scene operation, even though AIS range is limited to VHF radio range. The AIS standard also envisioned the possible use on SAR Aircraft, and included a message (AIS Message 9) for aircraft to report position. To aid SAR vessels and aircraft in locating people in distress a standard for an AIS-SART AIS Search and Rescue Transmitter is currently being developed by the International Electrotechnical Commission (IEC), the standard is scheduled to be finished by the end of 2008 and AIS-SARTs will be available on the market from 2009. AIS information received by VTS is important for accident investigation to provide the accurate time, identity, position by GPS, compass heading, course over ground (COG), Speed (by log/SOG) and rate of turn (ROT) of the ships involved for accident analysis, rather than limited information (position, COG, SOG) of radar echo by radar. The maneuvering information of the events of the accident is important to understand the actual movement of the ship before accident, particularly for collision, grounding accidents. A more complete picture of the events could be obtained by Voyage Data Recorder (VDR) data if available and maintained onboard for details of the movement of the ship, voice communication and radar pictures during the accidents. However, VDR data are not maintained due to the limited 12 hours storage by IMO requirement. The Saint Lawrence Seaway uses AIS binary messages (message type 8) to provide information about water levels, lock orders, and weather. The Panama Canal uses AIS type 8 messages to provide information about rain along the canal and wind in the locks. Several computer programs have been created for use with AIS data. Some programs (such as ShipPlotter and gnuais) use a computer to demodulate the raw audio from a modified marine VHF radio telephone when tuned to the AIS broadcast frequency (Channel 87 & 88) into AIS data. Some programs can re-transmit the AIS information to a local or global network allowing the public or authorized users to observe vessel traffic from the web. Some programs display AIS data received from a dedicated AIS receiver onto a computer or chartplotter. Most of these programs are not AIS transmitters, thus they will not broadcast your vessel's position but may be used as an inexpensive alternative for smaller vessels to help aid navigation and avoid collision with larger vessels that are required to broadcast their position. Ship enthusiasts also use receivers to track and find vessels to add to their photo collections. In relation to the issue of freely available automatic identification system (AIS)-generated ship data on the world-wide web, the publication on the world-wide web or elsewhere of AIS data transmitted by ships could be detrimental to the safety and security of ships and port facilities and was undermining the efforts of the Organization and its Member States to enhance the safety of navigation and security in the international maritime transport sector. Others[who?] have countered that AIS provides the same information that can be obtained with a pair of binoculars and that ships have the option of turning off AIS when they are in areas with security concerns. Shipboard AIS transponders have a horizontal range that is highly variable but typically only about 74 kilometers (46 mi). They reach much further vertically, up to the 400 km orbit of the International Space Station (ISS). In June 2008, ORBCOMM launched new low-earth orbit (LEO) satellites for their machine-to-machine communications constellation. In parallel with ORBCOMM's contract with the United States Coast Guard to launch its AIS receiver-equipped Concept Demonstration Satellite (CDS), all of these new satellites were equipped with AIS receivers. ORBCOMM became the first commercial service provider of satellite AIS, having licensed satellite AIS data service to qualified government and commercial subscribers since the beginning of 2009. Additionally, ORBCOMM has incorporated AIS receivers in its next 18 ORBCOMM Generation 2 (0G2) satellites under development. As additional satellites are launched, ORBCOMM will increase its capability by providing greater redundancy and more frequent updates of AIS data. ORBCOMM's established terrestrial network of 15 Gateway Earth Stations around the world ensures timely delivery of the satellite AIS data to its subscribers. ORBCOMM has also contracted with Luxspace to provide 2 dedicated AIS detection satellites, one a polar orbiting satellite, and the other an equatorial orbiting satellite, to be launched mid-2011. On April 28, 2008, Canadian company COM DEV International, became the first company to launch a space-based AIS nano-satellite designed to detect AIS signals from space, and is currently deploying a full micro-satellite constellation, global ground network and centralized data processing center in order to offer global AIS data services. The service is operational and available worldwide as of mid-2010 through exactEarth, COM DEV's data services subsidiary. exactEarth uses a patent-pending ground and space-based processing technology to minimize interference of collided AIS signals, therefore dramatically improving detection compared with all other satellite-based systems. As more satellites are launched, refresh rates will continue to increase as well. In November 2009, the STS-129 space shuttle mission attached two antennas - an AIS VHF antenna, and an Amateur Radio antenna to the Columbus module of the ISS. Both antennas were built in cooperation between ESA and the ARISS team (Amateur Radio on ISS). Starting from May 2010 the European Space Agency is testing two different AIS receivers, one from Luxspace (GdL), one from FFI (Norway) in the frame of technology demonstration for space-based ship monitoring. This is a first step towards a satellite-based AIS-monitoring service. In 2007, a previous test of space-based AIS tracking by the U.S. TacSat-2 satellite suffered from signal corruption because the many AIS signals interfered with each other. In July 2009, SpaceQuest launched AprizeSat-3 and AprizeSat-4 with AIS receivers. These receivers have been able to pick up the USCG's SART search and rescue test beacons off of Hawaii in 2010. In July 2010, SpaceQuest and exactEarth of Canada announced an arrangement whereby data from AprizeSat-3 and AprizeSat-4 would be incorporated into the exactEarth system and made available worldwide as part of their exactAIS(TM)service. On July 12, 2010, The Norwegian AISSat-1 satellite was successfully launched into polar orbit. The purpose of the satellite is to improve surveillance of maritime activities in the High North. AISSat-1 is a nano satellite measuring 20 x 20 x 20 cm. It weighs six kilograms and is shaped like a cube. Class A AIS products are for ships over 300 tonnes or which are SOLAS vessels and are required to meet the guidelines set out in the Marine Equipment Directive. Class B AIS products are for non-SOLAS vessels. They need testing and certification under the R&TTE Directive for the European Union and FCC and Industry Canada certification for North America. AIS transponders automatically broadcast information, such as their position, speed, and navigational status, at regular intervals via a VHF transmitter built into the transponder. The information originates from the ship's navigational sensors, typically its global navigation satellite system (GNSS) receiver and gyrocompass. Other information, such as the vessel name and VHF call sign, is programmed when installing the equipment and is also transmitted regularly. The signals are received by AIS transponders fitted on other ships or on land based systems, such as VTS systems. The received information can be displayed on a screen or chart plotter, showing the other vessels' positions in much the same manner as a radar display. Vessel mounted AIS transceiver (transmit and receive) which operates using self-organised time-division multiple-access (SOTDMA). Class As must have an integrated display, transmit at 12 W, interface capability with multiple ship systems, and offer a sophisticated selection of features and functions. Default transmit rate is every few seconds. AIS Class A type compliant devices receive all types of AIS messages. Vessel mounted AIS transceiver (transmit and receive) which operates using carrier-sense time-division multiple-access (CSTDMA). Class Bs transmit at 2 W and are not required to have an integrated display: Class Bs can be connected to most display systems which the received messages will be displayed in lists or overlayed on charts. Default transmit rate is normally every 30 seconds, but this can be varyed according to vessel speed or instructions from base stations. The Class B type standard requires integrated GPS and certain LED indicators. Class B equipment receives all types of AIS messages. Shore based AIS transceiver (transmit and receive) which operates using SOTDMA. Base stations have a complex set of features and functions which in the AIS standard are able to control the AIS system and all devices operating therein. Ability to interrogate individual transponders for status reports and or transmit frequency changes. Shore or buoy based transceiver (transmit and receive) which operates using fixed-access time-division multiple-access (FATDMA). Designed to collect and transmit data related to sea and weather conditions as well as relay AIS messages to extend network coverage. AIS receivers are not specified in the AIS standards, because they do not transmit. The main threat to the integrity of any AIS system are non-compliant AIS transmissions, hence careful specifications of all transmitting AIS devices. However, it is well to note that AIS transceivers all transmit on multiple channels as required by the AIS standards. As such single-channel, or multiplexed, receivers will not receive all AIS messages. Only dual-channel receivers will receive all AIS messages. Each AIS transponder consists of one VHF transmitter, two VHF TDMA receivers, one VHF Digital Selective Calling (DSC) receiver, and links to shipboard display and sensor systems via standard marine electronic communications (such as NMEA 0183, also known as IEC 61162). Timing is vital to the proper synchronization and slot mapping (transmission scheduling) for a Class A unit. Therefore, every unit is required to have an internal time base, synchronized to a global navigation satellite system (e.g. GPS) receiver. This internal receiver may also be used for position information. However, position is typically provided by an external receiver such as GPS, LORAN or an inertial navigation system and the internal receiver is only used as a backup for position information. Other information broadcast by the AIS, if available, is electronically obtained from shipboard equipment through standard marine data connections. Heading information, position (latitude and longitude), "speed over ground", and rate of turn are normally provided by all ships equipped with AIS. 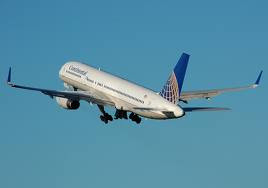 Other information, such as angle of heel, pitch and roll, destination, and ETA may also be provided. An AIS transponder normally works in an autonomous and continuous mode, regardless of whether it is operating in the open seas or coastal or inland areas. AIS transponders use two different frequencies, VHF maritime channels 87B (161.975 MHz) and 88B (162.025 MHz), and use 9.6 kbit/s Gaussian minimum shift keying (GMSK) modulation over 25 or 12.5 kHz channels using the High-level Data Link Control (HDLC) packet protocol. Although only one radio channel is necessary, each station transmits and receives over two radio channels to avoid interference problems, and to allow channels to be shifted without communications loss from other ships. The system provides for automatic contention resolution between itself and other stations, and communications integrity is maintained even in overload situations. In order to ensure that the VHF transmissions of different transponders do not occur at the same time, the signals are time multiplexed using a technology called Self-Organized Time Division Multiple Access (STDMA). The design of this technology is patented, and whether this patent has been waived for use by SOLAS vessels is a matter of debate between the manufacturers of AIS systems and the patent holder, though the United States Patent and Trademark Office (USPTO) canceled all claims in the original patent on March 30, 2010. In order to make the most efficient use of the bandwidth available, vessels that are anchored or moving slowly transmit less frequently than those that are moving faster or are maneuvering. The update rate ranges from 3 minutes for achored or moored vessels, to 2 seconds for fast moving or maneuvering vessels, the latter being similar to that of conventional marine radar. Each AIS station determines its own transmission schedule (slot), based upon data link traffic history and an awareness of probable future actions by other stations. A position report from one station fits into one of 2,250 time slots established every 60 seconds on each frequency. AIS stations continuously synchronize themselves to each other, to avoid overlap of slot transmissions. Slot selection by an AIS station is randomized within a defined interval and tagged with a random timeout of between 0 and 8 frames. When a station changes its slot assignment, it announces both the new location and the timeout for that location. In this way new stations, including those stations which suddenly come within radio range close to other vessels, will always be received by those vessels. The required ship reporting capacity according to the IMO performance standard is a minimum of 2,000 time slots per minute, though the system provides 4,500 time slots per minute. The SOTDMA broadcast mode allows the system to be overloaded by 400 to 500% through sharing of slots, and still provides nearly 100% throughput for ships closer than 8 to 10 nmi to each other in a ship to ship mode. In the event of system overload, only targets further away will be subject to drop-out, in order to give preference to nearer targets, which are of greater concern to ship operators. In practice, the capacity of the system is nearly unlimited, allowing for a great number of ships to be accommodated at the same time. The system coverage range is similar to other VHF applications, essentially depending on the height of the antenna, but is slightly better due to the use of digital VHF instead of analog VHF. Its propagation is better than that of radar, due to the longer wavelength, so it is possible to reach around bends and behind islands if the land masses are not too high. The look-ahead distance at sea is nominally 20 nmi (37 km). With the help of repeater stations, the coverage for both ship and VTS stations can be improved considerably. The system is backward compatible with digital selective calling systems, allowing shore-based GMDSS systems to inexpensively establish AIS operating channels and identify and track AIS-equipped vessels, and is intended to fully replace existing DSC-based transponder systems. Shore-based AIS network systems are now being built up around the world. One of the biggest fully operational, real time systems with full routing capability is in China. This system was built between 2003 and 2007 and was delivered by Saab TransponderTech. The entire Chinese coastline is covered with approximately 250 base stations in hot-standby configurations including 70 computer servers in three main regions. Hundreds of shore based users, including about 25 VTS centers, are connected to the network and are able to see the maritime picture, and can also communicate with each ship using SRM's (Safety Related Messages). All data are in real time. 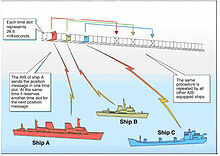 The system was designed to improve the safety and security of ships and port facilities. It is also designed according to an SOA architecture with socket based connection and using IEC AIS standardized protocol all the way to the VTS users. The base stations have hot-standby units (IEC 62320-1) and the network is the third generation network solution. By the beginning of 2007, a new worldwide standard for AIS base stations was approved, the IEC 62320-1 standard. The old IALA recommendation and the new IEC 62320-1 standard are in some functions incompatible, and therefore attached network solutions have to be upgraded. This will not affect users, but system builders need to upgrade software to accommodate the new standard. A standard for AIS base stations has been long awaited. Currently many ad-hoc networks exist with class A mobiles. Base stations can control the AIS message traffic in a region, which will hopefully reduce the number of packet collisions. The vessel's Maritime Mobile Service Identity (MMSI) – a unique nine digit identification number. Navigation status – "at anchor", "under way using engine(s)", "not under command", etc. Type of positioning system – such as GPS, DGPS or LORAN-C.
Class B transponders are designed for carriage by sub-SOLAS vessels. Each consists of one VHF transmitter, two VHF Carrier Sense Time Division Multiple Access (CSTDMA) receivers, one of which is multiplexed with the VHF Digital Selective Calling (DSC) receiver, and a GPS active antenna. Although the data output format supports heading information, in general units are not interfaced to a compass, so these data are seldom transmitted. Output is the standard AIS data stream at 38.400 kbit/s, as RS232 and/or NMEA formats. To prevent overloading of the available bandwidth, transmission power is restricted to 2 W, giving a range of about 5–10 mi. At the time of writing (November 2009) almost all Class B units use boards from Software Radio Technology (SRT). Exceptions to this are Furuno and AMEC. This message is transmitted on request for the user – some transponders have a button that enables it to be sent, or it can be sent through the software interface. It sends a pre-defined safety message. This message is sent every 3 minutes where speed over ground (SOG) is less than 2 knots, or every 30 seconds for greater speeds. This message was designed for the SOTDMA protocol, and is too long to be transmitted as CSTDMA. However a coast station can poll the transponder for this message to be sent. MMSI, time, SOG, COG, longitude, latitude, true heading, ship type, dimensions. This message is sent every 6 minutes, the same time interval as for Class A transponders. Because of its length, this message is divided into two parts, sent within one minute of each other. Note that this message was defined after the original AIS specifications, so some Class A units may need a firmware upgrade to be able to decode this message. MMSI, boat name, ship type, call sign, dimensions, and equipment vendor id. A number of manufacturers offer AIS receivers, designed for monitoring AIS traffic. These may have two receivers, for monitoring both frequencies simultaneously, or they may switch between frequencies (thereby missing messages on the other channel, but at reduced price). In general they will output RS232, NMEA, USB or UDP data for display on electronic chart plotters or computers. Håkan Lans – The inventor of STDMA, used as the communication protocol in AIS. Ship location mapping service – uses AIS input data from water vessels worldwide. ^ "Types of Automatic Identification Systems". U.S. Coast Guard Navigation Center. http://www.navcen.uscg.gov/?pageName=typesAIS. Retrieved 2010-07-13. ^ Top User Photos, Vessel Tracker Community. Retrieved October 14, 2008. ^ "Maritime security – AIS ship data". 79th session: 1–10 December 2004. IMO Maritime Safety Committee. http://www.imo.org/About/mainframe.asp?topic_id=848&doc_id=4574#ais. Retrieved 2007-01-08. ^ "Atlantis leaves Columbus with a radio eye on Earth’s sea traffic". ESA. 4 December 2009. http://www.esa.int/SPECIALS/Operations/SEMIHX49J2G_0.html. Retrieved 6 December 2009. ^ "ESA satellite receiver brings worldwide sea traffic tracking within reach". ESA. 23 April 2009. http://www.esa.int/SPECIALS/Technology/SEMVDZ9NJTF_0.html. Retrieved 6 December 2009. ^ Recommendation ITU-R M.1371-3. Technical characteristics for an automatic identification system using time division multiple access in the VHF maritime mobile band (Recommendation ITU-R M.1371-3). International Telecommunications Union. ^ "AIS Messages". U.S. Coast Guard Navigation Center. http://www.navcen.uscg.gov/?pageName=AISMessages. Retrieved 2010-07-13. AIVDM.txt by Eric Raymond provides an description of all of the major messages types. Kordia Maritime AIS Services Kordia’s Automatic Identification System (AIS) provides maritime coverage of New Zealand’s coastal waters. Volunteer AIS data sharing center. The data are shared in raw NMEA format. MarineTraffic.com - Vessels from around the world! www.ios-hellas.gr/ais Vessels from around the world update every sec!! Mariweb.gr - On-Line tracking of vessels from around the world, weather reports and live cameras! Northernbaltic.se - Live AIS @ Landsort Vessels in Northern Baltic Sea around Landsort! The Most Powerful People on Earth 2010! !